SHL’s competition-winning proposal aimed to revive the brewery site by transforming it into an office building and hotel with public facilities on the ground floor that will bring new life to the area such as a public gym, child care centre, café, spa, food court and convenience store. By creating beautiful, inviting courtyards and plazas that connect old and new, the overall design will create a strong urban expression with a timeless, classic appearance that is also uniquely contemporary. 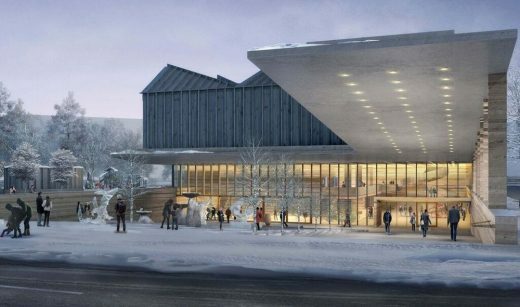 This building is designed as an art object that unifies architecture, music, science, video and light installation. 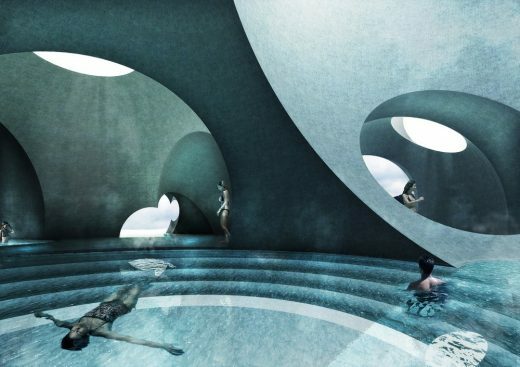 Steven Christensen Architecture of Santa Monica, California has been named a winner in the 2016 AAP American Architecture Prize for Recreational Architecture, which recognizes the most outstanding architecture worldwide. 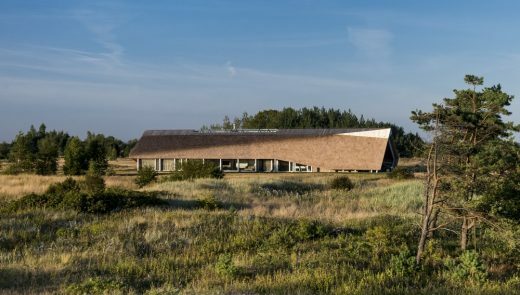 The holiday home Lapinas in Kaltene village is a conversion of an old fisherman’s court where the old stone building was enclosed in a new glass structure to make an open living area. Remains of the old wooden hut were demolished to make space for a new extension containing three bedrooms and two bathrooms overlooking the sea. 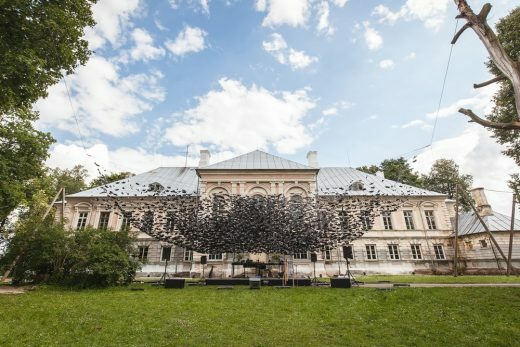 Nature Concert Hall 2016 is designed as an art installation made from 10 000 paper bats. 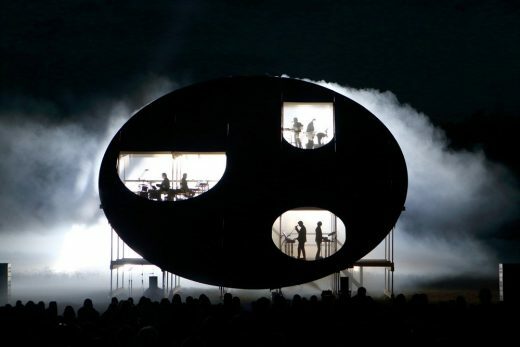 Levitating cloud with gradient density over the musicians serves also as a screen for video and light projections. To achieve maximum lightness and levitation effect art installation is suspended in 3 paired electricity columns far away each from another. 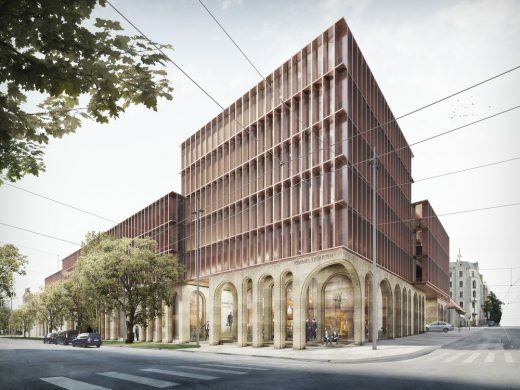 The Latvian Museum of Contemporary Art Foundation (LMoCAF) announced today (16.06.16) that the competition jury has selected Adjaye Associates – working with the Latvian team AB3D – as the winner of the invited international competition to design a new contemporary art museum for the centre of Riga. 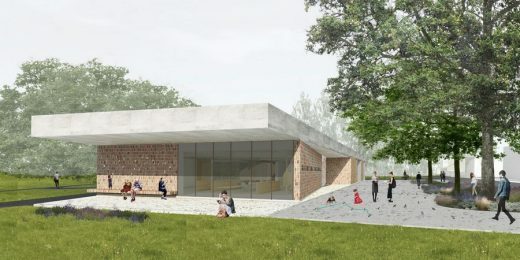 The suburban area of Galinciems is lacking a space dedicated to the community, therefore the municipality of Ventspils is planning to construct a new library building that could serve this function.